How to Apply Discount Coupon Code for Freshersworld 2018-19 – Hey guys, If you are planning to take the freshersworld CEAT exam but facing issues with premium membership registration or discount coupon then this article will help you in all the aspects of process. This article is written with an intent to guide aspirants regarding registration of freshersworld premium membership with discount coupons. How to apply the discount coupon. What is process of registration for Premium Membership? Which premium plan is better (599 or 999)? 1.1 What are benefits of Freshersworld Premium membership ? As you know that Freshersworld conducts CEAT exam for freshers candidates through out the India to help candidates reach the right recruiters. In order to achieve that first of all freshersworld invites candidates to register for their premium membership plan as to filter out the serious candidates. 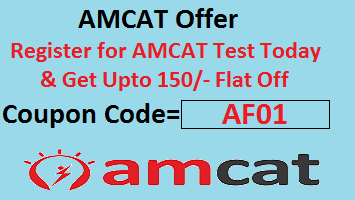 Note: All BE/B.Tech,MBA/PGDM,ME/M.Tech, MBA, MCA,Msc degree holders are eligible to write CEAT test. What are benefits of Freshersworld Premium membership ? Once you registered for premium membership plan, you gets numerous benefits, given below, which helps candidates in achieve their dream job more easily. You will receive recruitment updates of all premium jobs which offer a relatively high salary and are also probably exclusively hiring through Freshersworld.com. Apply to unlimited Jobs in your Interested Field on freshersworld website. Wants to know more about CEAT Exam? refer below links. Now further ado, lets move to registration process and How to Apply Discount Coupon Code for Freshersworld. Go to official link direct link and fill all details to register. Please note that discount coupon code works only on above link so do not register anywhere else just click on above link and register yourself by entering your Name, Email Id, Password etc. Now note you id password for future reference. Now choose premium membership plan and choose the payment options. Before making payment, click on have discount coupon? and enter below voucher code. Now apply the coupon code AFF1451AGI and click ok.
Below screen print is helping you on how to apply coupon code. Freshersworld is having affiliation with alpingi.com to provide discount coupon code to our reader/subscriber, hence, our user can use AFF1451AGI voucher code and get 50/- flat off on premium membership purchase. We recommend candidates to buy 999 premium membership plan to make sure that you get the best opportunities and get yourselves selected in MNC companies as early as possible. Prepare sample paper to score good marks in CEAT exam. Any question or doubt on How to Apply Discount Coupon Code for Freshersworld Premium Membership 2018, please comment below.